Super simple holiday cards, featuring letterpress printed text and real 3"x3" photographs. Designed and printed by Hello Paper Co. This super holiday card features a real 3"x3" photo and letterpress printed text. The paper is 100% pure cotton and extra-thick (184# to be exact), and it's printed in Chicago, IL using a vintage press. The photograph is printed on semi-glossy photo paper and affixed to the card. 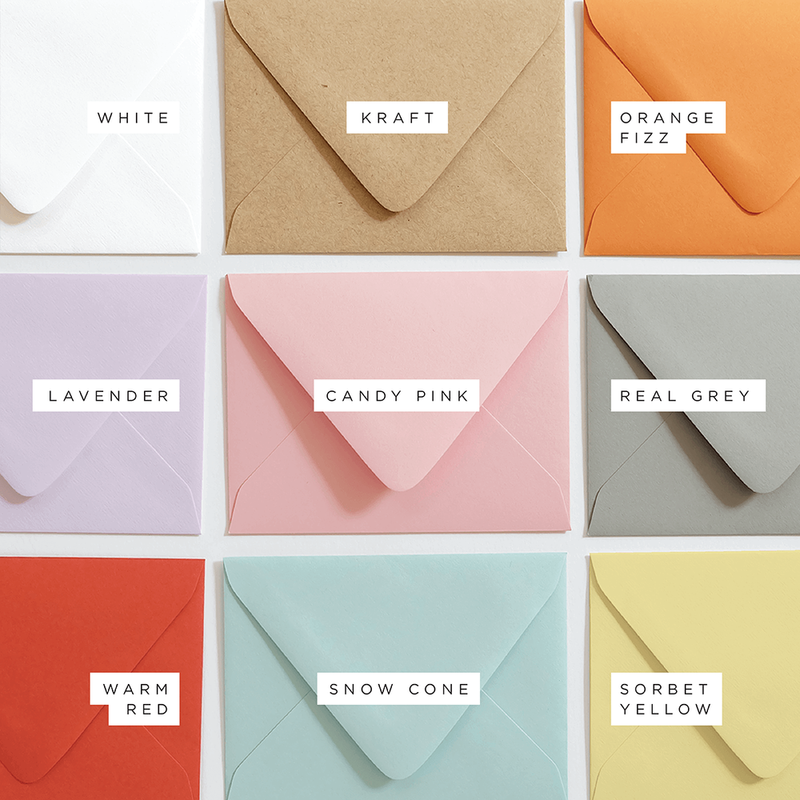 Each card is flat and A2 size (5.5" x 4.25") and comes with an envelope in the color of your choice (see images for swatches, and send us a message if you're looking for another color).